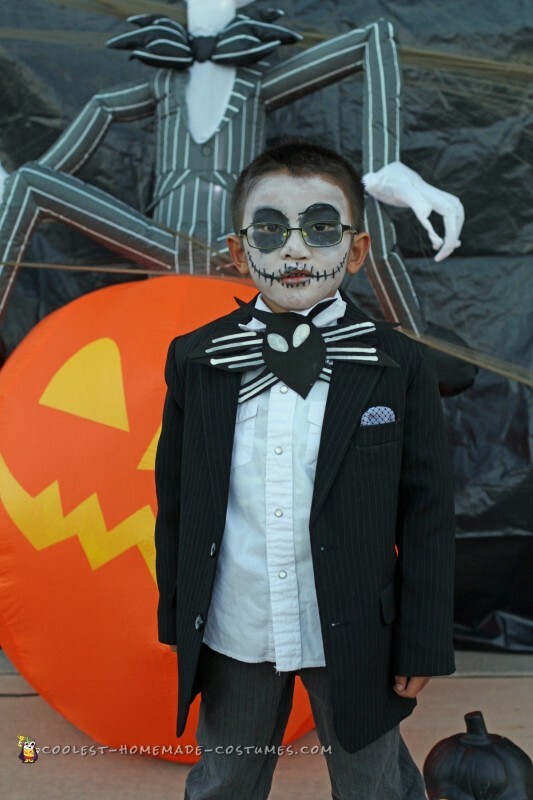 Jack Skellington Sr.: Jacket was sewn from a pattern. 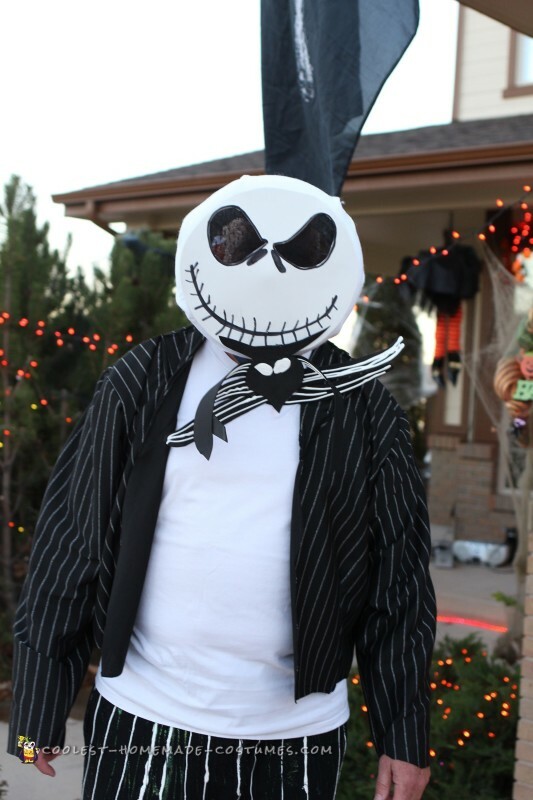 I made the huge bow tie out of black foam sheets, white fabric paint, and ribbon to tie it. I found a Jack mask at the party store but it was thin plastic and they wanted almost $20 for it so made my own for $5! I used a styrofoam wreath circle, covered it with white felt, then cut out a huge circle from white foam paper and drew on the eyes and mouth. I cut out the eyes and glued black lace so that you could see out of the mask and added elastic strap to the back. Pants are from Goodwill and I added the stripes using white fabric puff paint. 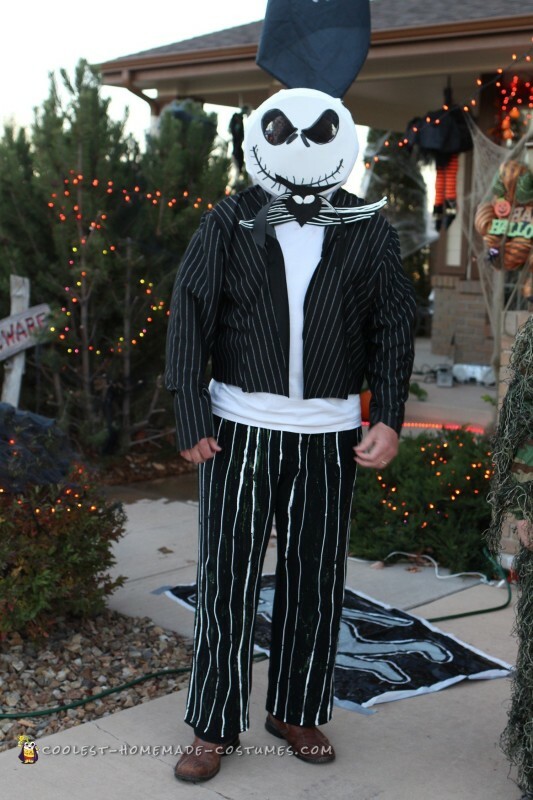 Jack Skellington Jr: I bought the entire outfit from Goodwill-the shirt, jacket, and pants. I made the bow tie from black foam and used white puff paint for the lines. We painted his face because he preferred to not wear a mask. 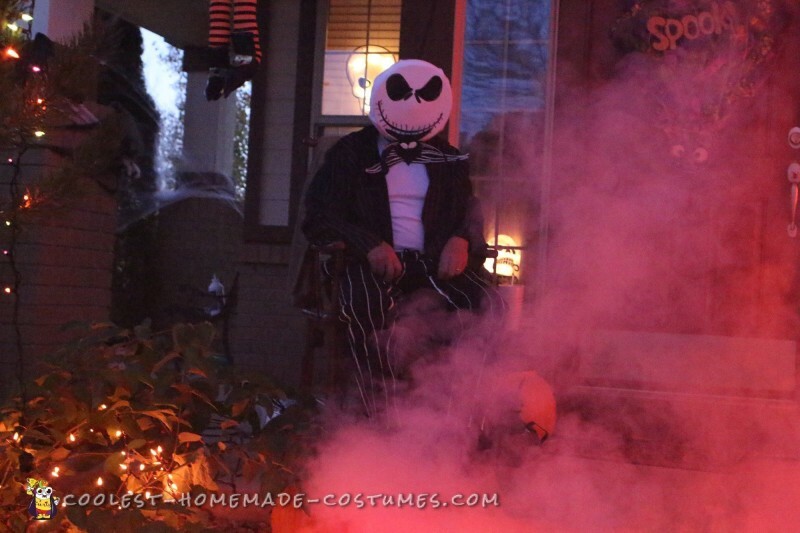 Approximate cost for both costumes: $30 and they were one of a kind! People loved the costumes and everyone immediately knew what Dad and son were for Halloween this year! It’s always more fun when you make your own costume!